Marks & Spencer is prominently positioned in Astle Retail Park on High Street, about a 5.00 mile distance north-west of the centre of Birmingham, in West Bromwich (near to Kings Square Shopping Centre, Astle Retail Park and Queens Square Shopping Centre). This store provides service primarily to the locales of Sandwell, Dudley, Smethwick, Wolverhampton, Tipton, Wednesbury, Oldbury, West Bromwich, Wednesfield and Walsall. Today (Thursday), operation begins at 9:30 am and continues until 8:00 pm. 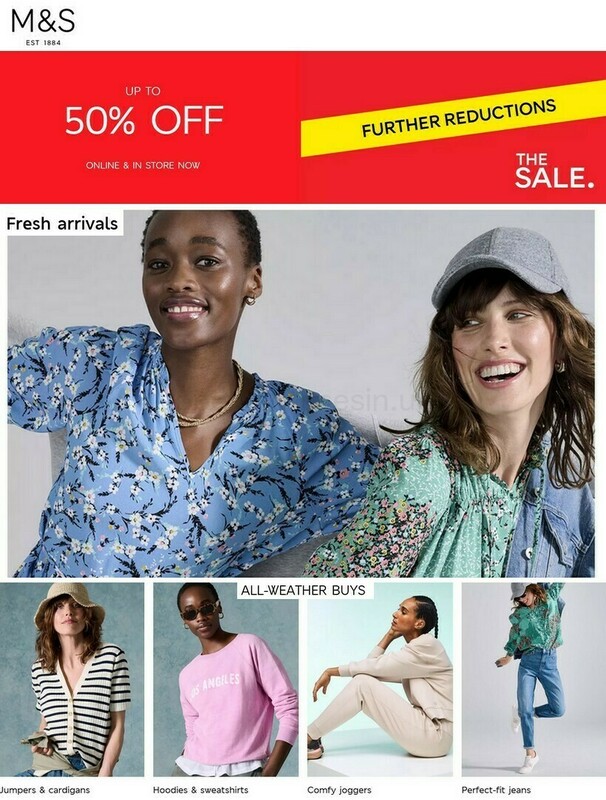 Refer to this page for the specifics on Marks & Spencer West Bromwich, including the operating times, navigation, direct number and further information. Marks & Spencer is situated at the nearby crossroads of Victoria Street and High Street, in West Bromwich, Birmingham, at Astle Retail Park. Only a 1 minute trip from Bromford Lane, All Saints Way, The Express Way or High Street; a 3 minute drive from Bromford Road, Kelvin Way and Junction 1 (West Bromwich Interchange) of M5; and a 7 minute drive time from Junction 7 (Great Barr) of M6. Postcode for Sat Nav is B70 8NS. Multiple buses run to West Bromwich Bus Station. The following lines stop here: 4, 5, 30, 40, 41, 42, 43, 44, 45, 46, 47, 48, 49, 54, 64, 66, 74, 75, 79, 80, 83, 121, 289, 728, 4H, 4M, 16W, 47A, 50A, 50C, 54A and 74A. Take the tram to West Bromwich Central (1770 ft away). The train runs to Smethwick Galton Bridge Station (1.38 mi away). The Chiltern Railways, London Midland and Arriva Trains Wales lines are available. By foot you can come across Dartmouth Park, Lyng Primary School, Queens Square Shopping Centre, Astle Retail Park, Kings Square Shopping Centre, Greets Green Park, Sandwell General Hospital and Sandwell Park Golf Club. Today, Marks & Spencer runs 9 branches in Birmingham, West Midlands. Go to the following page for the entire index of all Marks & Spencer stores near Birmingham. Please be advised that the UK holiday season may bring about modifications to the established hours of opening for Marks & Spencer in West Bromwich. For the duration of 2019 these exceptions apply to Xmas Day, New Year's Day, Easter Sunday or Early May Bank Holiday. Take a look at the official homepage when planning your trip to Marks & Spencer West Bromwich, or phone the direct contact number at 0333 014 8555 for precise information about the seasonal open hours. While visiting Marks & Spencer, please explore the other stores in Astle Retail Park. Here you can also find SUBWAY, B&M and other possibilities. The Opening Times in the UK team strives to provide you with the most accurate information as possible. Please feel free to make use of this form to report any mistakes with the address details or hours of business for Marks & Spencer in West Bromwich. Your thoughts are valuable. Please review Marks & Spencer in the space and star system provided below.